Picture from group : Lackawee from the SE. Picture: Lackawee from the SE. Not much but exceptional views on a good day. 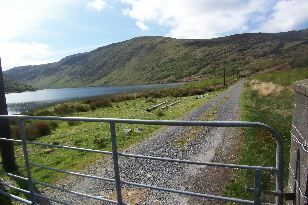 A route from the north starts at the northern end of Glenbeg Lough V70103 53800 A and following the track there. A route from the south starts from by leaving your car at Rosmackowen Church V74200 47209 B (Point A) and head up the little borheen immediately after the Church on the Castletownbere side. Down the rough far side then to a small lake followed by a boggy trot across peat hags and one small hill before the climb to Lackawee's summit. 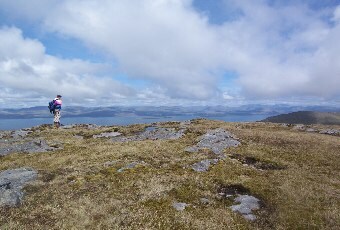 Arrived at Lackawees' summit via Maulin (see Maulin posting for details) and another fine view point it was. We returned to the col, and some soft ground, and traversed pt 579 again to V71449 51108 C, and descended by a small stream, swinging right into the col, then left going round a few ring contours & past a small lough to V72442 51161 D.
As pointed out by Jackill, the ground around the lough to the GPS Ref has some, well, water bed characteristics! Not a place you want to 'break on through to the other side' on. 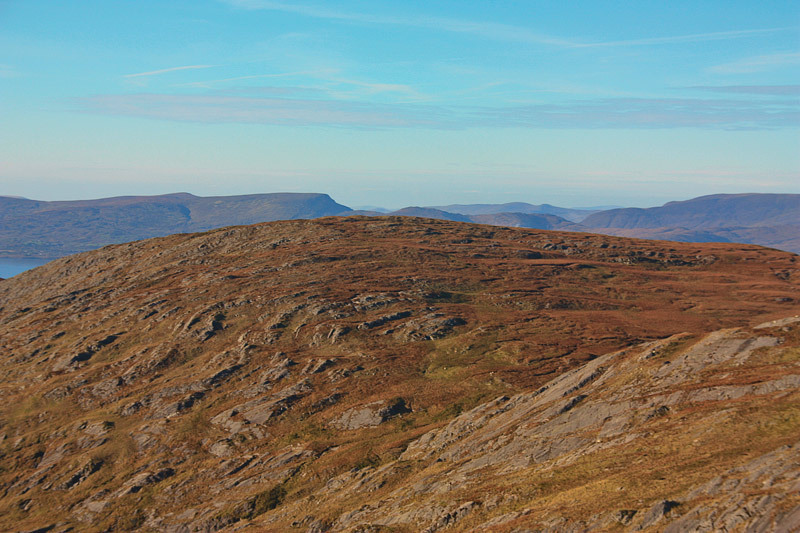 Climb up through the rock , on an easy slope, despite looking more rocky close up than it did from Maulin. And arrive at a splendid summit and view point.